More than 750 additional and expanded bus services start across Adelaide during late July, significantly boosting South Australia’s public transport services by about 2.3 million kilometres a year. 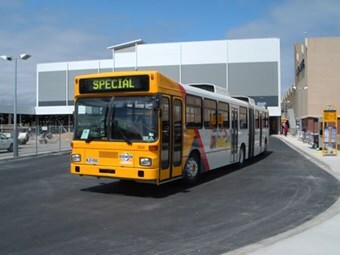 SA’s Transport Minister Patrick Conlon says the bus service expansions, which come into effect on July 24, had a particular focus on the outer northern and southern suburbs, as well as Adelaide Hills schools. "These changes will see 763 additional or expanded services on the bus route network, providing more services to high-demand areas and incorporating an extension of Adelaide Metro bus services to Gawler," Conlon says. "These changes represent about a five percent increase on the number of kilometres our buses travel annually." The expanded services will be supported by an extra 40 buses coming into operation in coming weeks. "New timetables have been developed that will result in the delivery of better services with greater frequency, efficiency and extended routes," Conlon says. The changes provide for more night and weekend services, extra capacity for school services, travel time improvements across the network and a direct link between the Lyell McEwin and Modbury Hospitals. Additional express services between the suburbs and the city, particularly around O-Bahn services, will see considerable travel time savings for peak-hour commuters. The extended 500 service, measured from Salisbury Interchange to the City represents a nine minute time saving during interpeak times and a 14 minute saving at peak times using the O-Bahn. Conlon says all customers are urged to prepare for the changes and familiarise themselves with timetable changes ahead of July 24. Train and tram services are not affected by the service changes. Adelaide Metro InfoTeams will be stationed at interchanges, shopping centres and major bus stops across the network to assist customers in the weeks following the service changes. Conlon says on top of the addition of extra new buses, a further 28 new articulated buses will join the fleet to replace ageing buses over the next year. For more Information on the service changes go to www.adelaidemetro.com.au or contact the Adelaide Metro Information Line on 1300 311 108.